Salt Desert, Danakil Depression, Afar, Ethiopia. 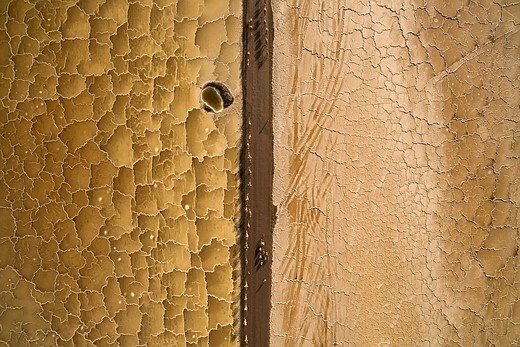 This unique aerial photo shows the salt miners guiding a dromedary and donkey caravan through this desert’s unique salt patterns. A photographer from Portugal has won the £4000 top prize in 2016’s Travel Photographer of the Year competition with a pair of portfolios of volcanic landscapes and, in contrast, a document of the life of fishermen in Ghana. Joel Santos is the first Portuguese winner of the competition, as well as the first to win with a set of images shot from a drone. Winners of other categories in the competition went away with cash and accessories, while the best portfolios in the ‘Mankind’, ‘Land, Sea, Sky’ and ‘Journeys & Adventures’ sections won a Fujifilm X camera and lens. The Young Travel Photographer of the Year was Darpan Basak, a 14-year-old from India, while an 18-year-old from the USA, Courtney Moore, won the 15-18-year old category, and Ankit Kumar from India won the 14 and Under section. 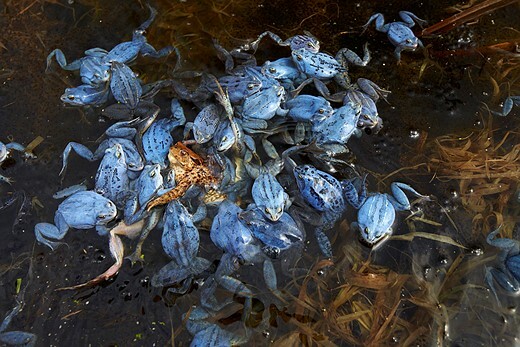 The competition attracted entries from 123 countries, and a selection of the winning images will be exhibited in Hull, UK, between 18th May and 30th June, and again at the University of Greenwich, London, during August. For more information and to see the winners in all categories visit the Travel Photographer of the Year website. Photographers from 20 countries have won awards, and the winning images will go on show at TPOTY exhibitions at the UK City of Culture celebrations in Hull from 18th May to 30th June 2017 and at 10 Stockwell Street, Greenwich at the University of Greenwich, London from 4th August to 3rd September 2017. The Young Travel Photographer of the Year 2016 is 14-year old Darpan Basak from India, 18-year old Courtney Moore (USA) won Young TPOTY 15-18 and Ankit Kumar (India) won Young TPOTY 14 and Under. – each being awarded ‘Best Single Image’ in the category. 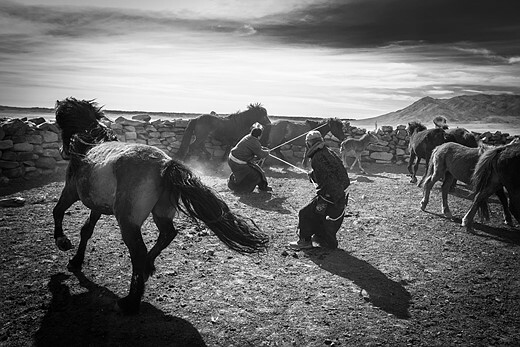 China’s Ruiyuan Chen took first place in ‘Mankind’, with Jeremy Woodhouse (UK) winning the award for Best Single Image, and Beniamino Pisati (Italy) won ‘Journeys & Adventures’, with Lluís Salvadó (Spain) winning Best Single Image. In the single image categories, ‘Shaped by Light’ was won by Chinese photographer Biran Zhao, Michele Palazzo (Italy) won ‘Cities – Architecture & Spaces’ and Luke Massey (UK) won ‘Wildlife & Nature’. Briton Alison Cahill came first in the New Talent award, and fellow Brit Rufus Blackwell won the HD video category Travel Shorts. Finally, Italy’s Marina Spironetti took first prize in Smart Shot, the category for images taken on a mobile phone or tablet. Travel Photographer of the Year is judged by an international panel of judges that includes Deputy Editor in Chief, Fotomagazin, Germany, Manfred Zollner, champion jockey turned travel photographer Richard Dunwoody and Jerry Tavin (co-president of Glasshouse Images and founder of Young Photographers’ Alliance). 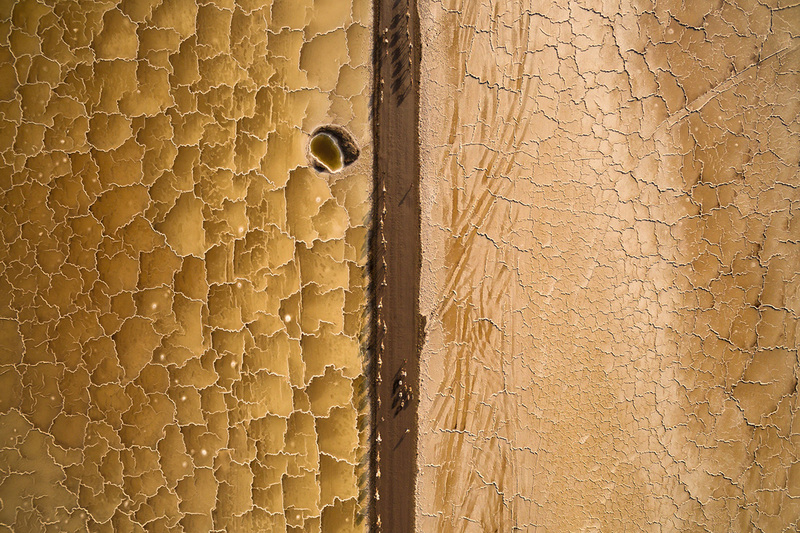 In addition to the significant international exposure that comes with winning TPOTY, Joel Santos receives £4,000, a selection of StaaG luxury leather travel goods and sterling silver accessories (worth over £1250), £500 to spend on the Páramo clothing of his choice, and a Plastic Sandwich personalized leather portfolio case. For their success in Journeys & Adventures; Land, Sea, Sky, and Mankind, Beniamino Pisati, Craig Easton and Ruiyuan Chen each receive a Fujifilm X-Series camera and lens of their choice. The winner of the Best Single Image award in each portfolio category receives a giclée fine art print from Genesis Imaging. Biran Zhao, Luke Massey and Michele Palazzo, the winners of Shaped by Light; Wildlife & Nature, and Cities – Architecture and Spaces will each enjoy a five or six- day winter or summer voyage for two people along Norway’s stunning coastline with Hurtigruten, and receive a Torres Insulator Jacket from Páramo. Alison Cahill receives a set of luxury leather travel goods from StaaG, a personalized leather portfolio case from Plastic Sandwich, Photo Iconic tuition and a Páramo Halcon Traveller jacket for winning New Talent, while Marina Spironetti and Rufus Blackwell each win £500, a Páramo Halcon Traveller jacket and a Plastic Sandwich portfolio case, for winning ‘Smart Shot’ and the HD Video category respectively. 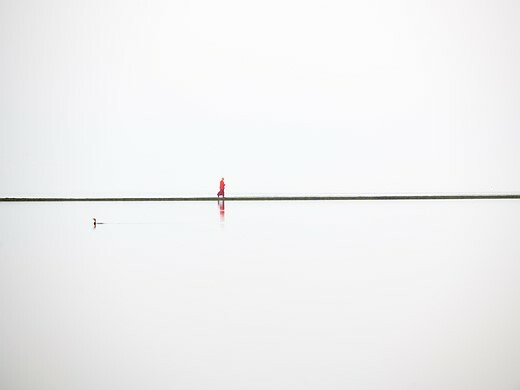 To see all the winning images across all categories, visit the 2016 Winners’ Gallery at www.tpoty.com. Lake Bosumtwi, Ashanti, Ghana. 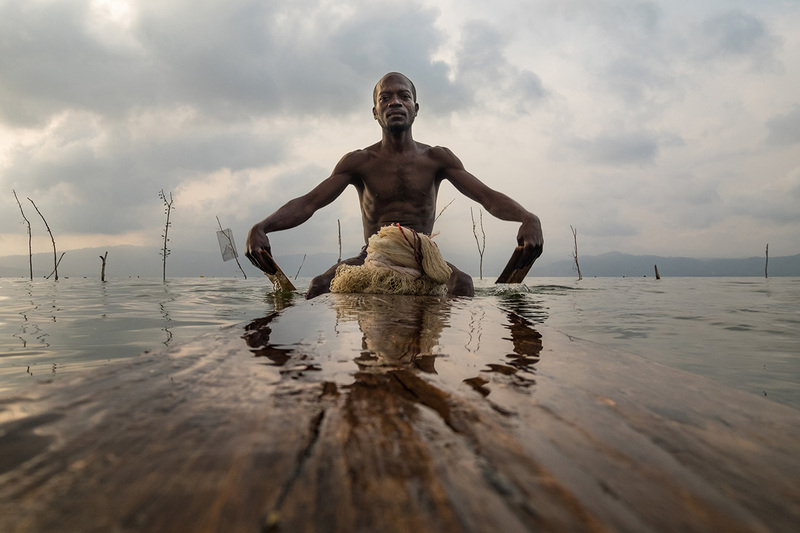 The Ashanti people fish from the traditional wooden padua. Island Beach State Park, New Jersey, USA. 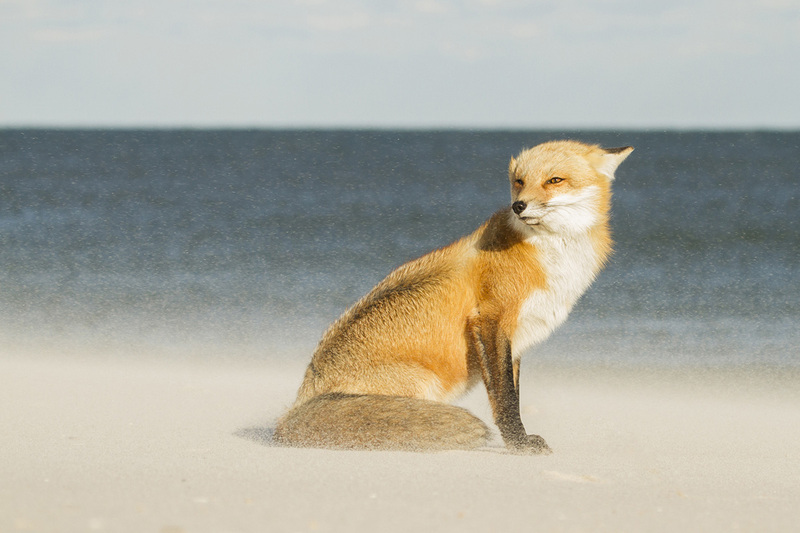 On a particularly windy day, this fox was sitting only a few yards away from the ocean as sand pelted against his fur. 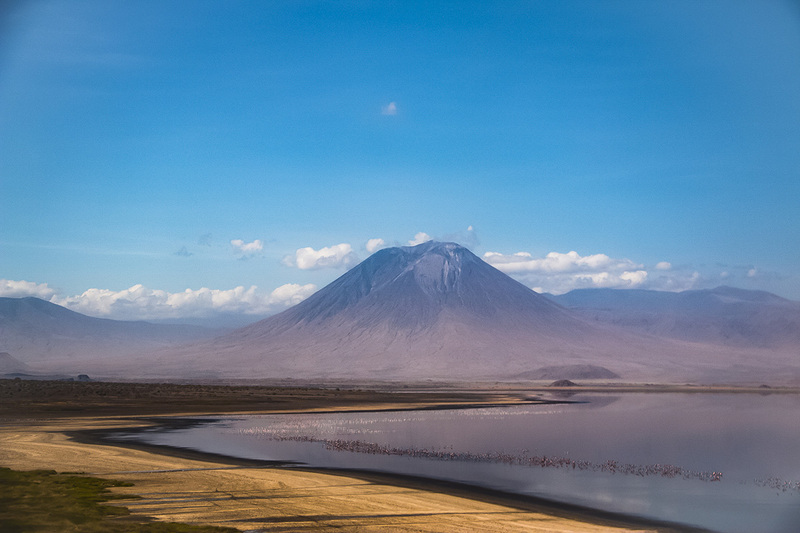 Lake Natron Tanzania. A flock of Lesser flamingos take flight above Tanzania’s salt and soda Lake Natron. Bayankhongor, Mongolia. 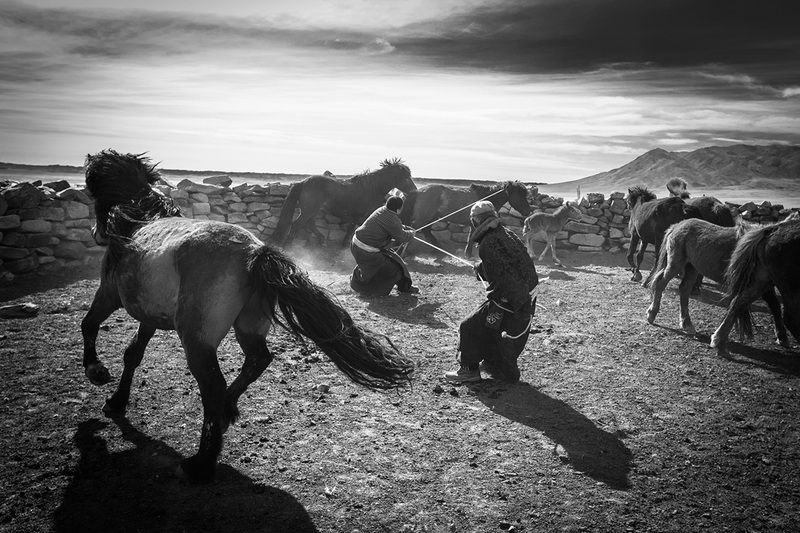 Horses are present in all aspects of life in Mongolia. A popular saying is: “A Mongol without a horse is like a bird without wings”. 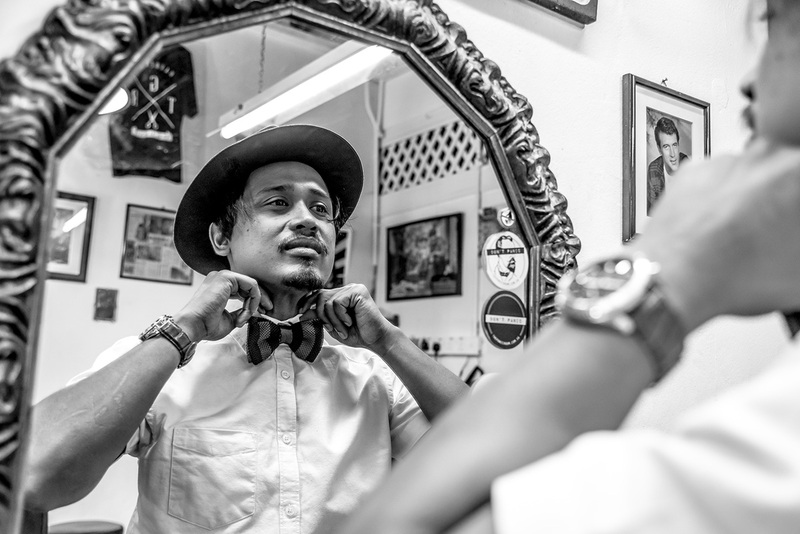 Son & Dad Barbers, George Town, Penang, Malaysia. Portrait of Elyas the head barber and owner of Son & Dad. West Kirby, Wirral, UK. 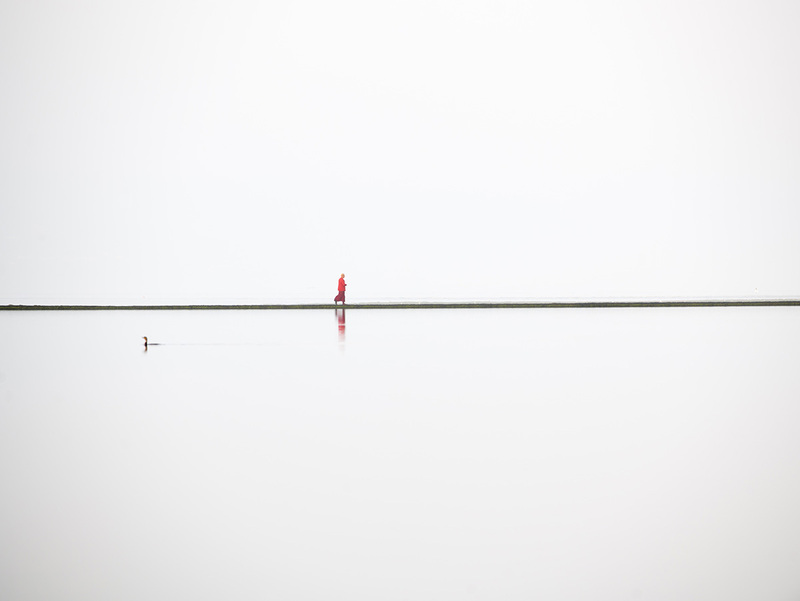 A lone Buddhist monk walks around the boundary wall of the West Kirby Marine Lake. Daliang Mountains, Sichaun province, China. 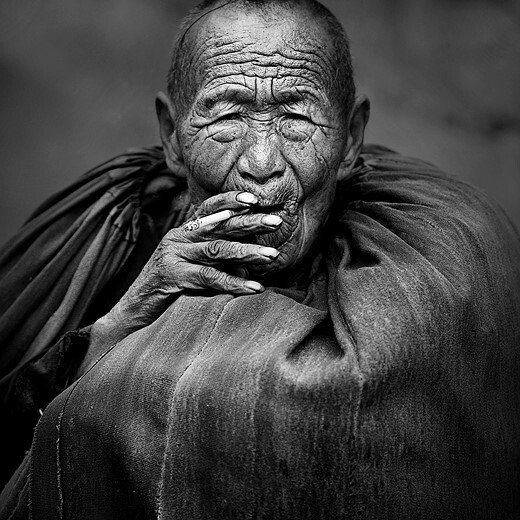 Portraits of the ethnic Yi people, who live in great poverty. 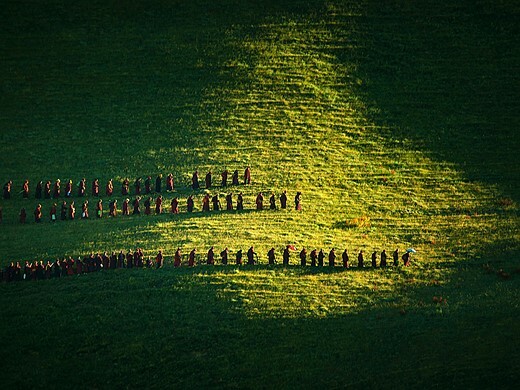 Baiyu County, Ganzi, Sichuan Province, China. 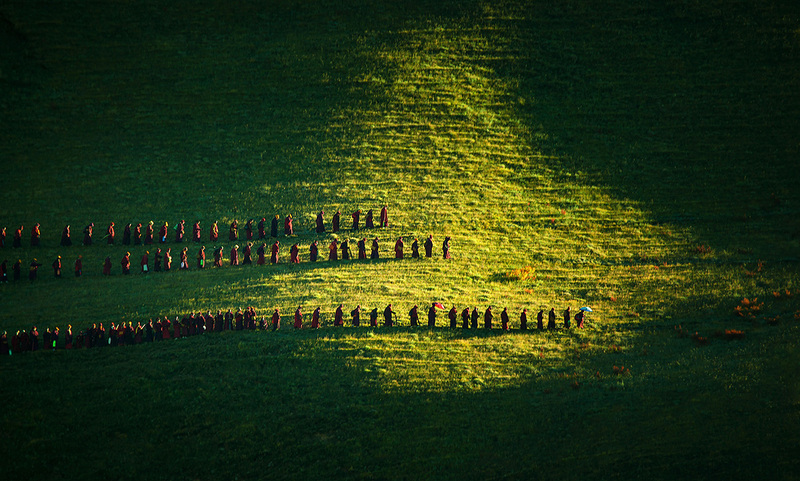 Every morning, the nuns walk around the mountain as practice lesson. Regardless of the season, they walk year after year, day in and day out. Sierra de Andújar National Park, Andalucia, Spain. 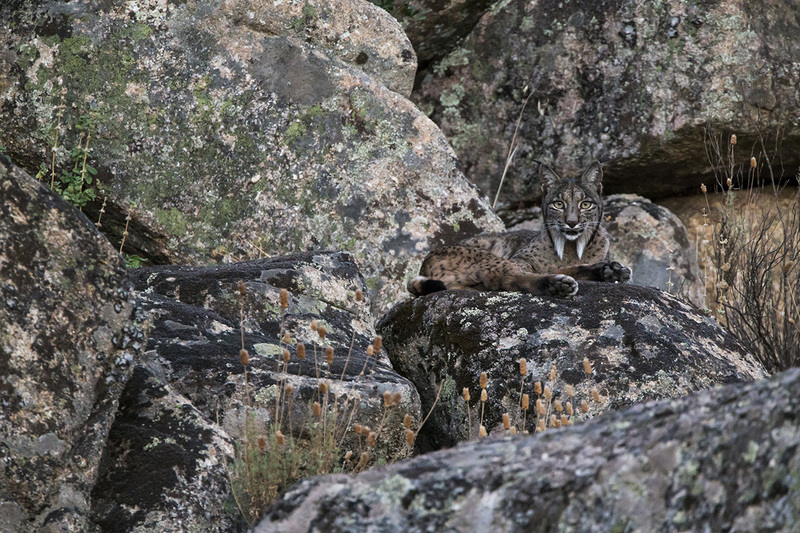 In 2001 there were less than 100 Iberian lynx left in the wild. Fifteen years later there are now more than 400, but it is still, unfortunately, the rarest cat in the world. Berlin, Germany. In a small pond at the rural border of Berlin, male moor frogs in their bright blue mating colour try to mate with a common toad, which almost drowned. It took about 30 minutes before she managed to free herself and reach dry ground. 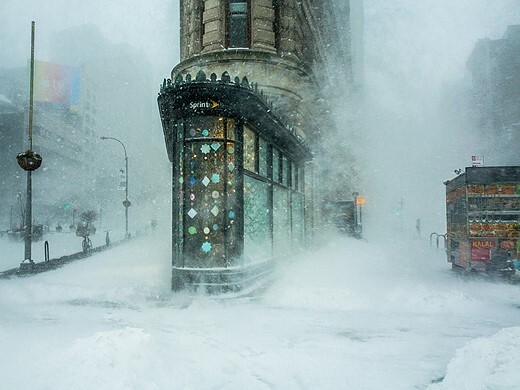 Flatiron Building, Manhattan, New York, USA. 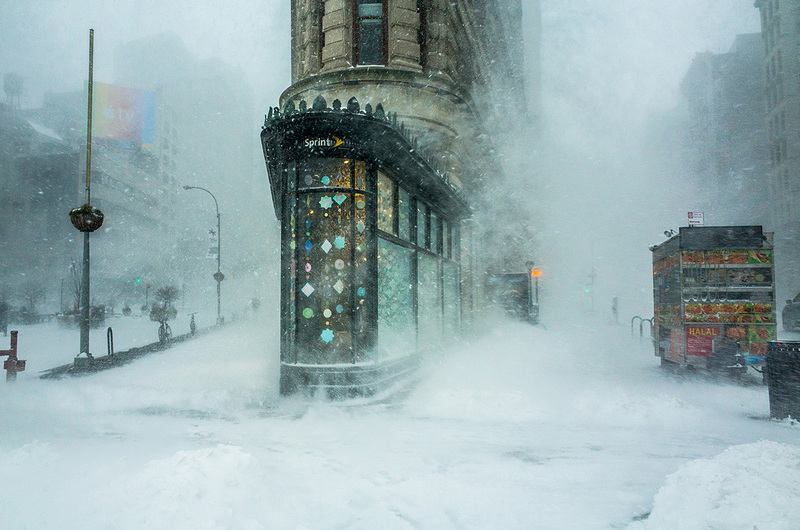 While walking through the Jonas snowstorm that swept across the East Coast, I captured this shot of the Flatiron Building against a backdrop of swirling snow.